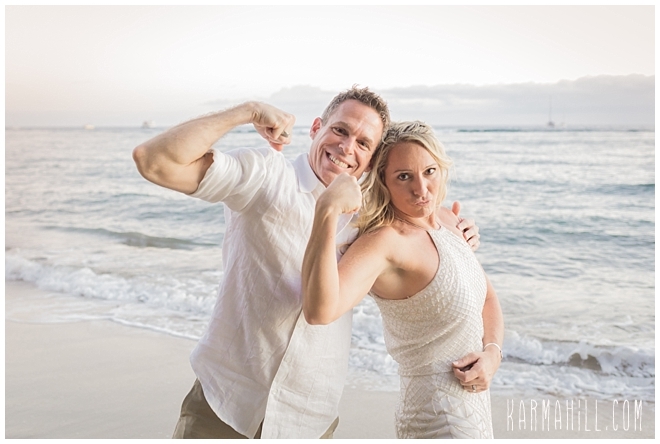 After Harry hired Courtney to be his personal trainer at their local gym, this Cross Fit loving couple fell madly in love and set off on a new adventure together. 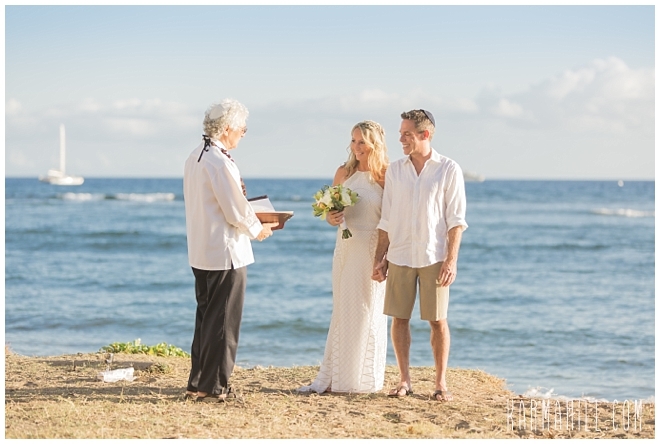 Leaving New York, and their beloved pooch, behind for a few days, they set their sights on a Maui Beach Elopement. 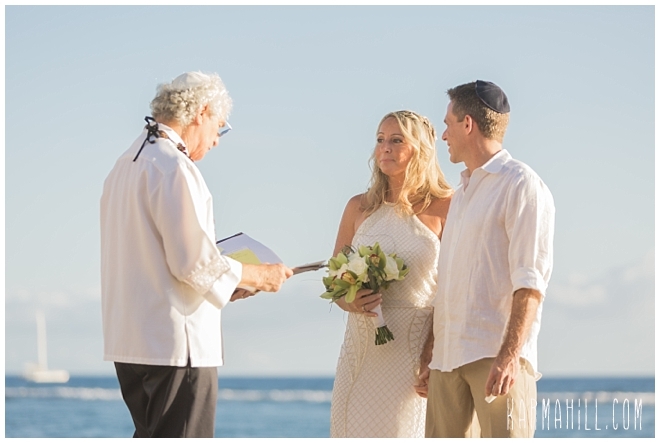 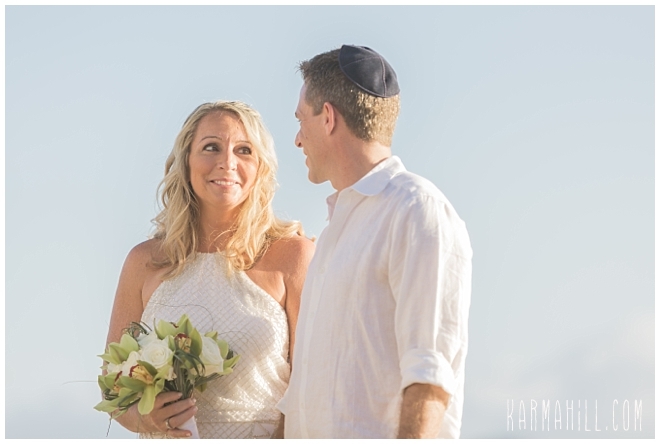 With a custom ceremony incorporating both Hawaiian elements and the Jewish faith, they exchanged vows and united in matrimony before the rippling sea. 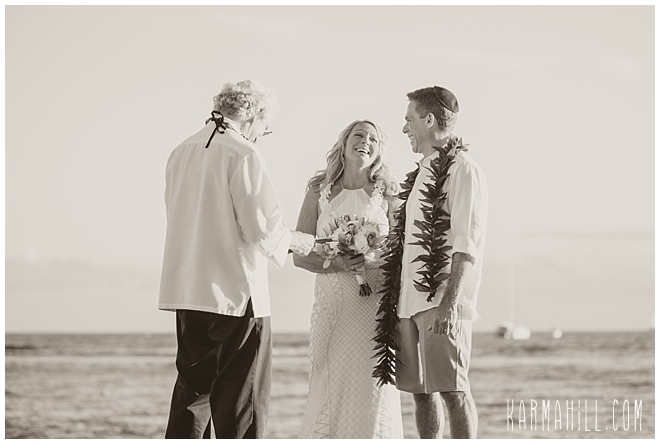 Much to their delight, though their own four legged friend couldn't be there, they were still treated to some furry guests while enjoying their couple's photography. 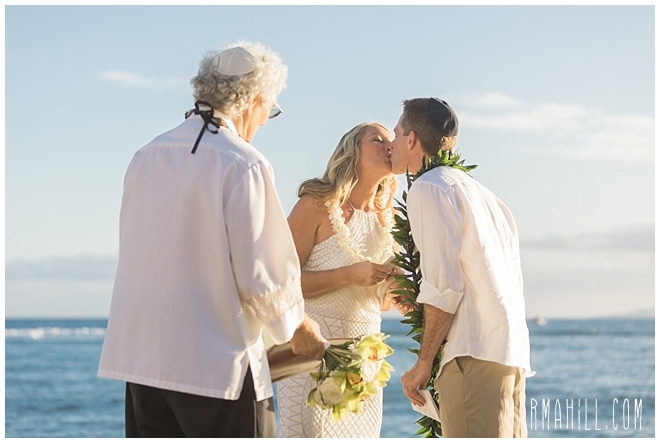 To round out their perfect day, a limo whisked them away to a memorable dinner at Merriman's where they could toast to their happily ever after. 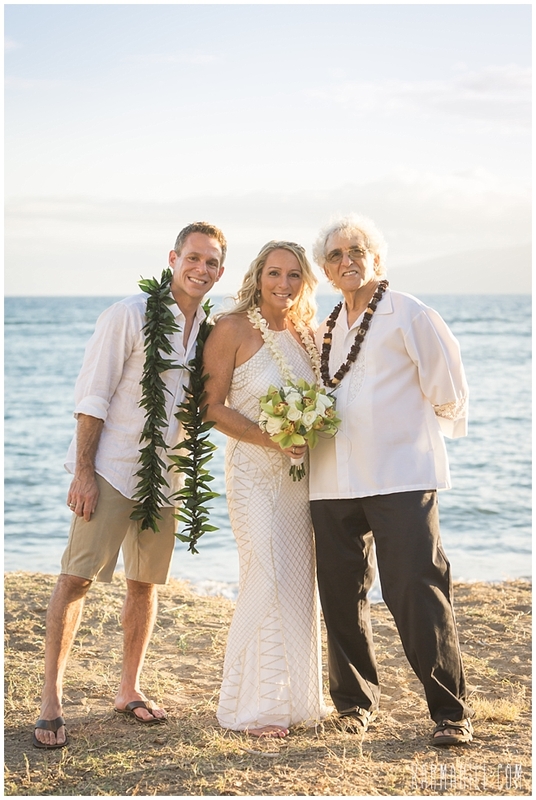 As their time on Maui drew to a close, the Big Island called their name for the Honeymoon celebration to continue. 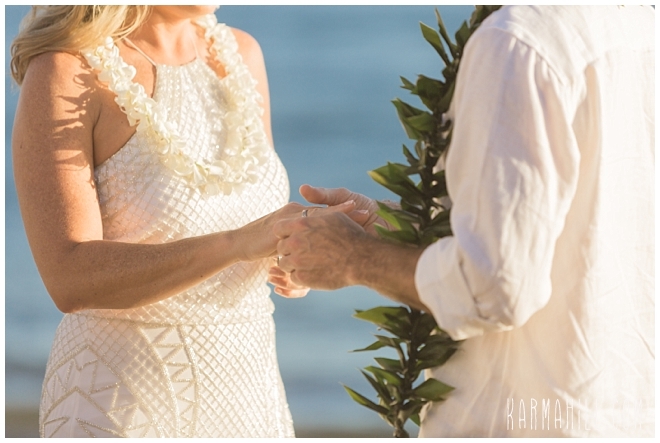 We absolutely adored these two and couldn't be more excited we got to witness their big moment. 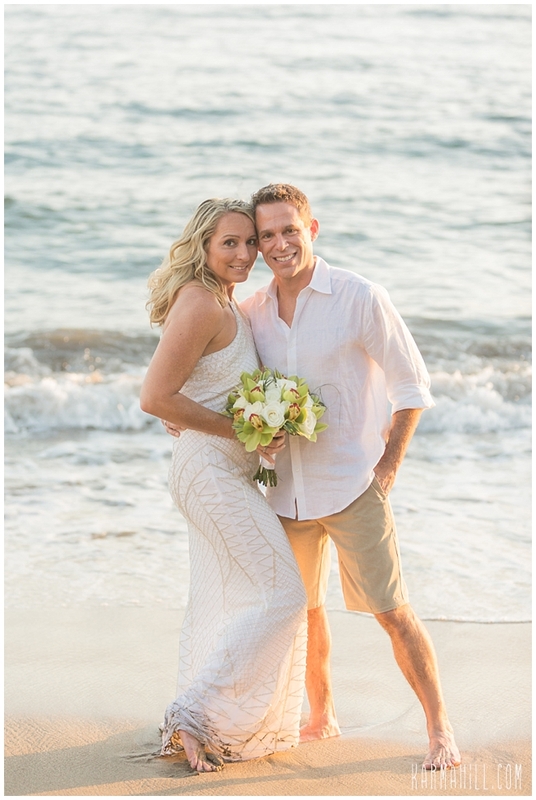 Thank you, Courtney and Harry. 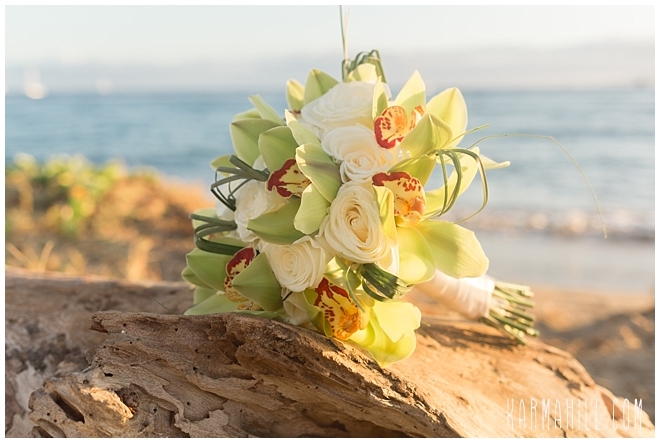 Best wishes on a beautiful life together! 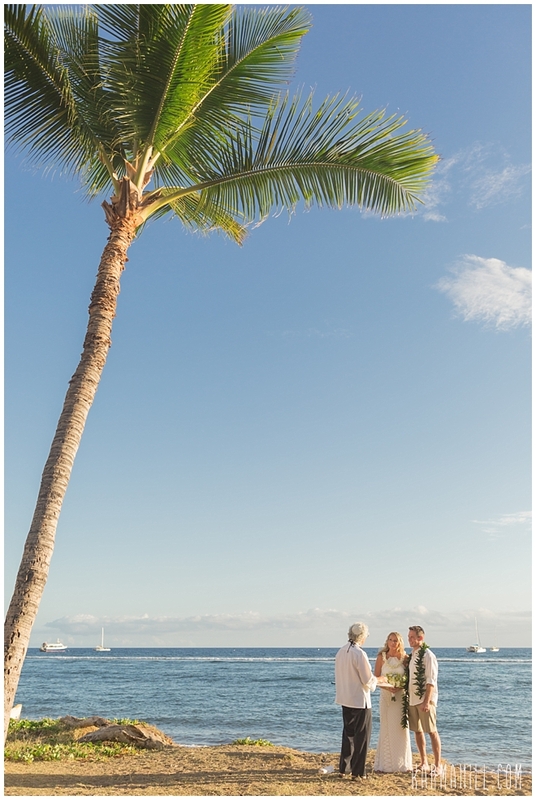 Don't be strangers, now! 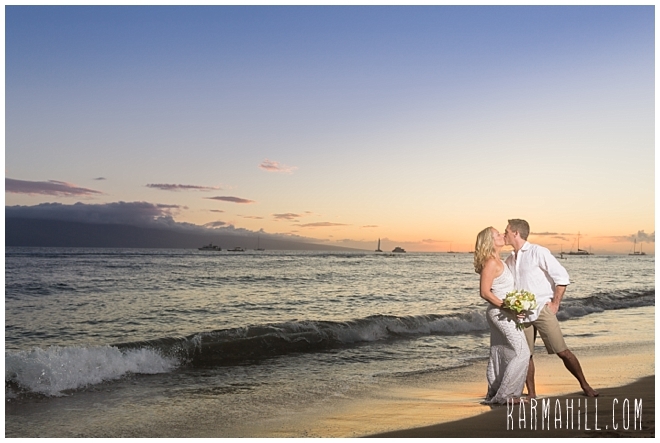 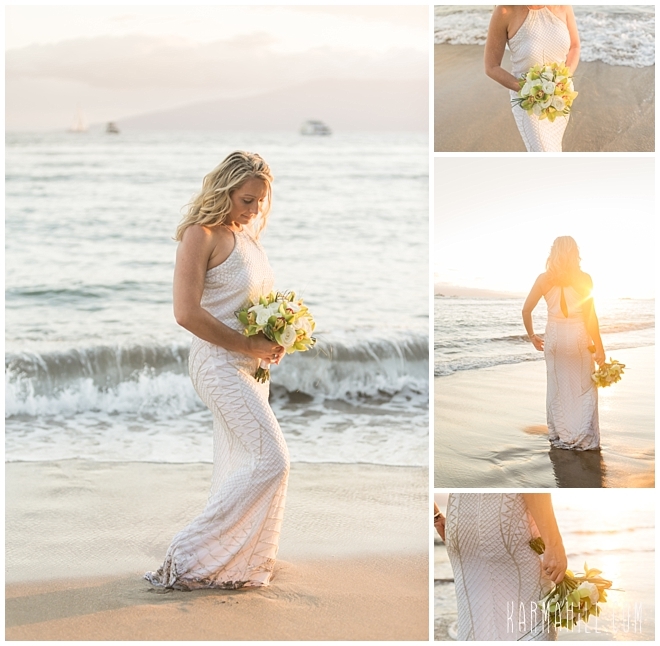 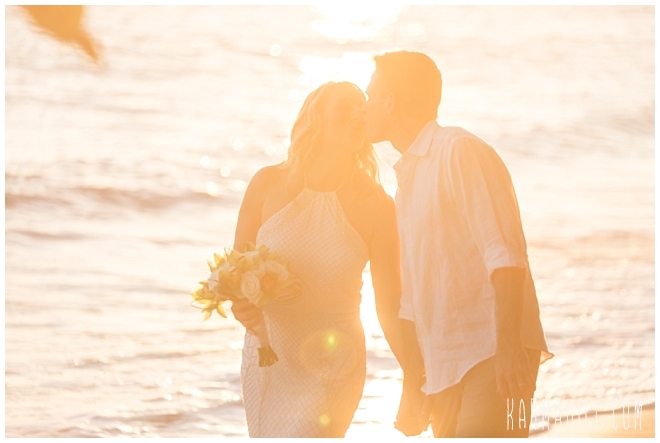 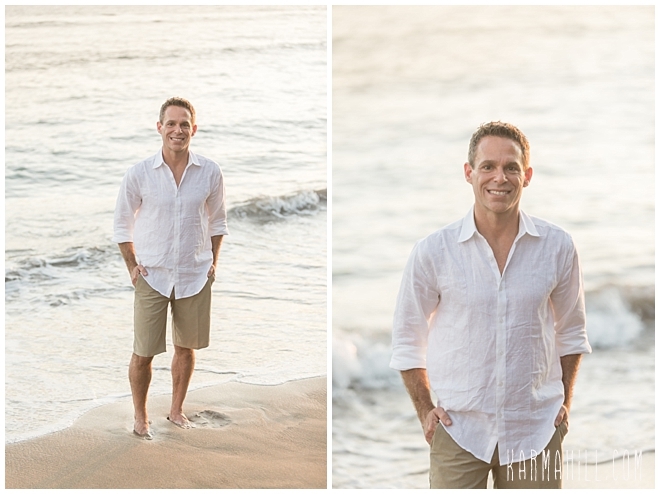 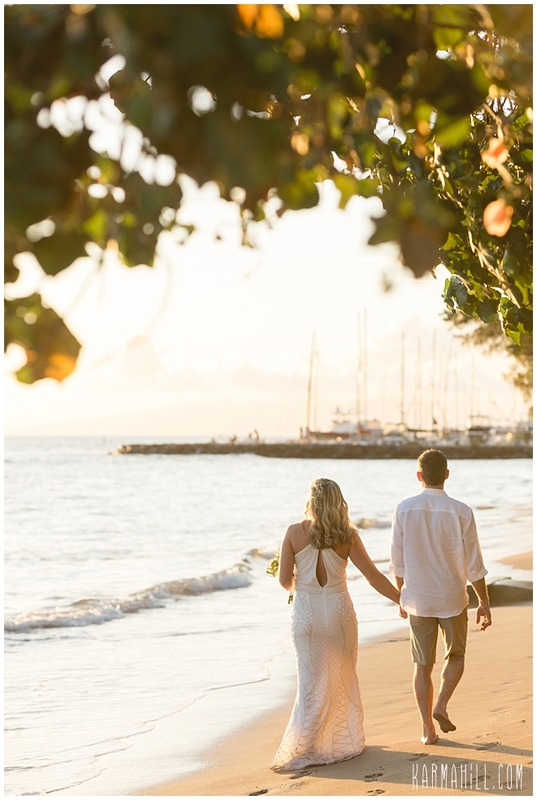 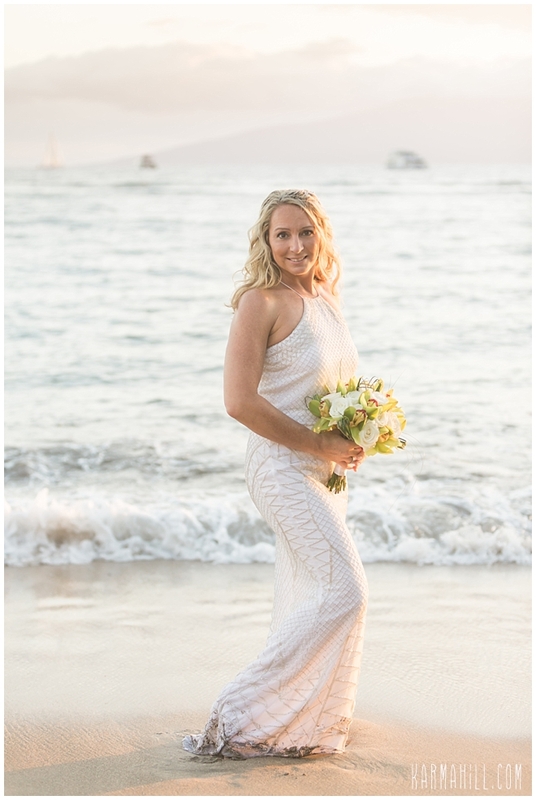 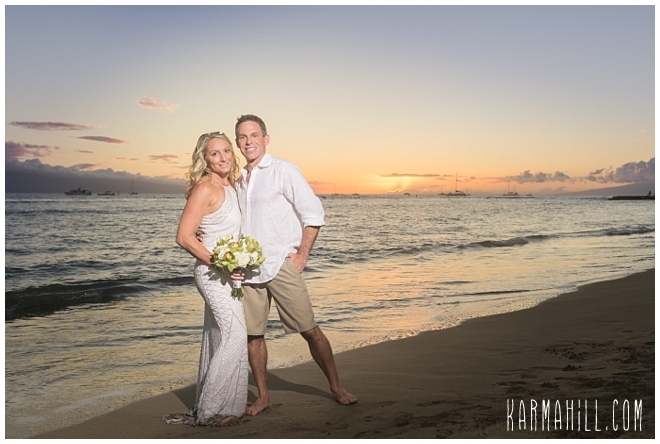 Check out Sarina & Greg's Maui Wedding!